We've been working with Tempesta Technologies in the area of distributed RDBMS development since 2015, and we've always been impressed by the code quality produced by the company. 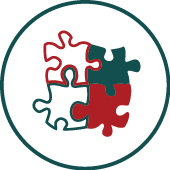 The team can solve complex technical problems in a reasonably short amount of time. You can evaluate how they work by their open source project, Tempesta FW, and appreciate its approach to high performance Web acceleration and DDoS mitigation. Tempesta Technologies is one of the top MariaDB contributors. We provide custom software development from small proof-of-concept prototypes to entire products from scratch. 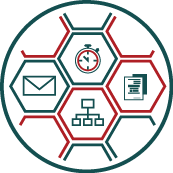 The main focus of our expertise is high performance solutions in networking and database areas. To provide the best quality and maintainability of our code we use a mandatory code review, strict coding style, continuous integration and delivery systems. Also we provide access to our version control system at all phases of development process, so our work is always transparent. You can evaluate the quality of our code and complexity of the problems, which we can solve, by our open source projects. A Linux kernel application delivery controller extensively uses lock-free data structures, advanced string algorithms using SIMD extensions of x86-64 architecture, and machine learning for adaptive load balancing. Tempesta FW services up to 1.8M HTTP requests per second on cheapest 4-core x86-64 CPU, which significantly outperforms any other open source Web accelerators including built on top of user-space TCP/IP stacks. 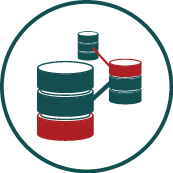 An implementation of SQL system versioning for MariaDB 10.3. Watch our presentation from the M|17 conference about the project. We've been developing high performance network traffic processing solutions since 2008. The networking solutions are implemented in Linux kernel, using kernel bypass techniques (e.g. DPDK and Netmap) as well as traditional sockets in user space. The project areas are network security, such as VPN or WAF, DPI, Web servers and load balancers, clustered DNS services, cluster management software, database synchronous replication, and many others. After the initial version of the product was released, we have been continuing to help with the product development for over 3 years. The WAF was mentioned in Gartner magic quadrant. A 10Gbps HTTP traffic (MPLS) analyzer and TOP statistics counter were developed by our team. 10Gbps performance was shown on entry-level server thanks to the new technology of data structures construction based on x86-64 virtual memory paging. The core of the project is heavily modified Linux kernel (network capturer). We've achieved stable performance measures, with an almost 200% performance boost in some of the tests, and more than 100% improvement in average. A FreeBSD kernel module and an Apache HTTPD patch for high performance user switching to execute PHP scripts were developed by us. The result of the project allowed the web hosting company to switch users much faster than any other existing mechanisms. We're contributors to MariaDB. Also we develop ad-hoc distributed databases for network traffic aggregation and analyzing. The typical cases for the databases are real-time network data mining, caching Web content or distributed trained models produced by a machine learning logic. TempestaDB is an open sourced example of the solutions. 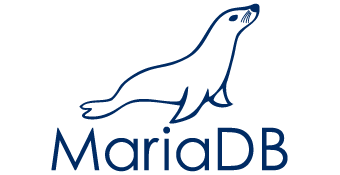 We have developed System-Versioned Tables for MariaDB 10.3. The development was commissioned by MariaDB Corporation. 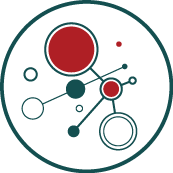 We have fixed various bugs in MariaDB, MySQL and Percona XtraDB, including in Galera Cluster and InnoDB internals. We developed a Hilbert R-tree-based spatial database for querying TOP statisic provided by a 10Gbps traffic analyzer in near real time. Masterhost engaged our team for develop MySQL accounting and users limiting. MySQL and FreeBSD kernels were patched. FreeBSD patch for per-thread rusage CPU statistics was sent to freebsd-hackers mailing list. © 2018 Tempesta Technologies, Inc.